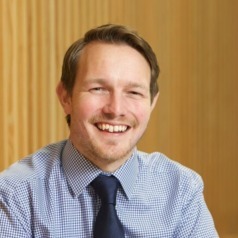 Dr Christopher Pich is a senior lecturer in marketing at Nottingham Business School, Nottingham Trent University. Further, Christopher is an active researcher specialising in political marketing, political branding and corporate identity-image and reputation and qualitative protective techniques. Christopher has published research in national and international academic journals including the Journal of Business Research, Journal of Marketing Management, Journal of Qualitative Market Research and the Journal of Politics and Policy. Finally, Christopher is the current Managing Editor for Europe for the Journal of Political Marketing [January 2016 - Present].